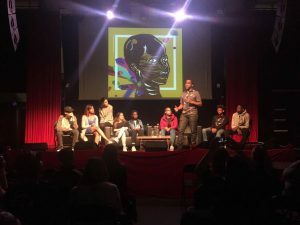 At the beginning of August, eight young people from across London joined People’s Palace Projects as part of the Rich Mix Takeover Festival for a full week of drama and film workshops on the theme “Can we talk about it?”. An intensive week of creativity saw the group work with drama and film facilitators to script, shoot and edit a short film, giving audiences a perspective from young Londoners about the pressures on young people’s relationships today: what makes a relationship healthy or unhealthy, and how do you negotiate what you’re happy with? 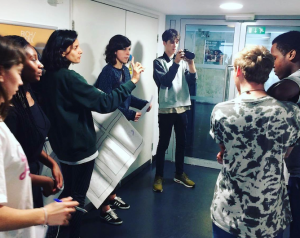 The week began with drama sessions to open up issues the young filmmakers felt strongly about, and to create a narrative and then a screenplay together. 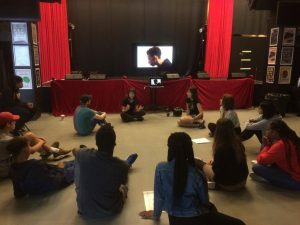 After a lightning induction into the processes of film production, they then assumed responsibility for the filming, direction, acting, production and editing, with support from experienced professionals including lead filmmakers Aida Baneres Argiles and Martina Piazza and lead drama facilitator Carolina Angrisani. 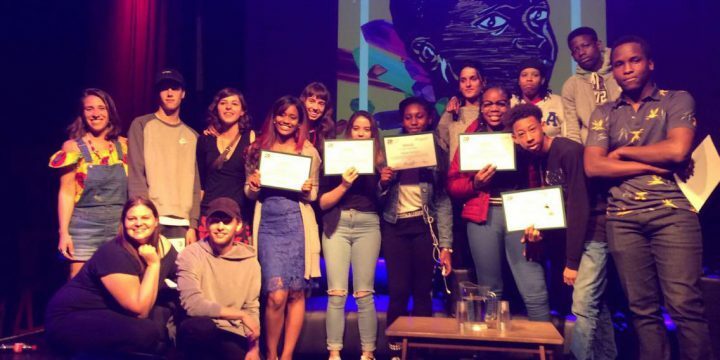 The final film was showcased to a public audience last Saturday, 5th August at the Rich Mix Main Space and is launched online this week, freely available for sharing via social media, with enormous thanks and congratulations to all of the participants and facilitators who supported its creation. PPP is a national portfolio organisation of Arts Council England. This project was made possible with funding awarded by the Economic and Social Research Council through the Newton Fund as part of a research project called “Healthy, Secure and Gender Just Cities”, led in the UK by Cathy McIlwaine and Paul Heritage, that investigates perspectives on violence against women and girls in London and Rio de Janeiro. It is part of a wider ‘Urban Transformations‘ network showcasing ESRC funded research on cities. 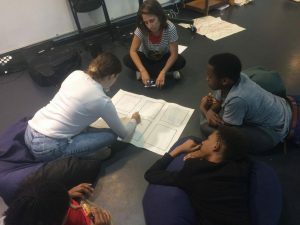 The published research reports of the project to date can be found here: the next public event will be performances of a new play ‘Efémerides’, written and directed by Gael le Cornec from interviews with UK women, from 4th-7th October at Southwark Playhouse as part of CASA Festival 2017.